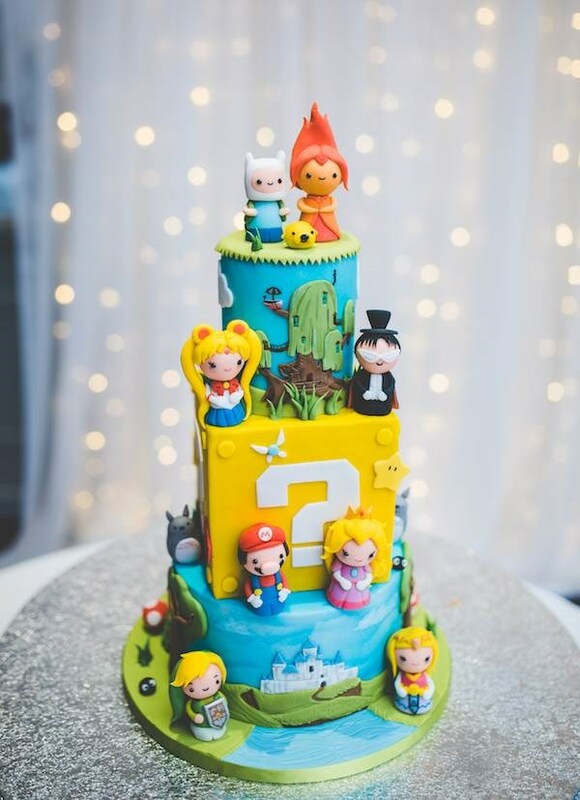 The wedding cake this couple had for their big day is definitely one of the finest cakes we've ever seen. 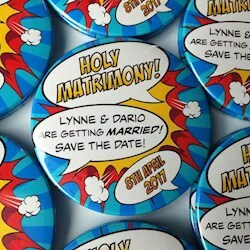 It's fantastic to see a couple letting their personalities show by peppering their wedding day with such quirky elements. 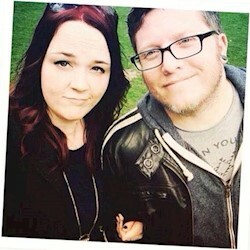 We're Claire and Martin and we're both from Burnley. 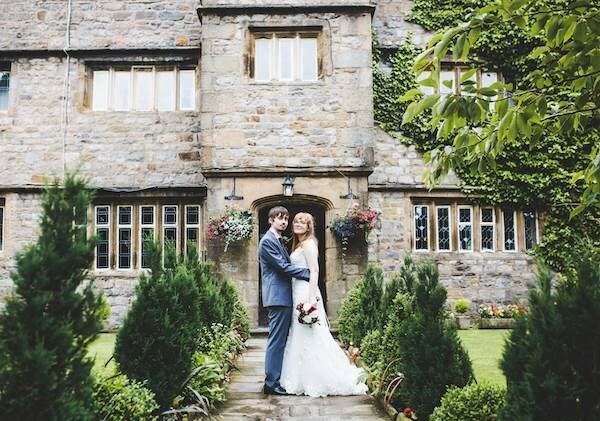 We got married on 9 July 2016 at Stirk House, Gisburn. Our main common interest is definitely gaming; we enjoy playing a variety of games together on all of our consoles! 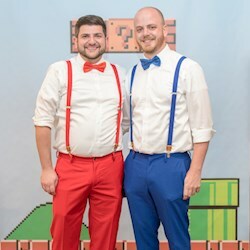 We decided that the general theme of the wedding would be based on the idea of romance and love stories from the interests which inspire us, which range from literature (mainly me, which was reflected in the decorations) to our favourite couples from video games and anime/cartoons. 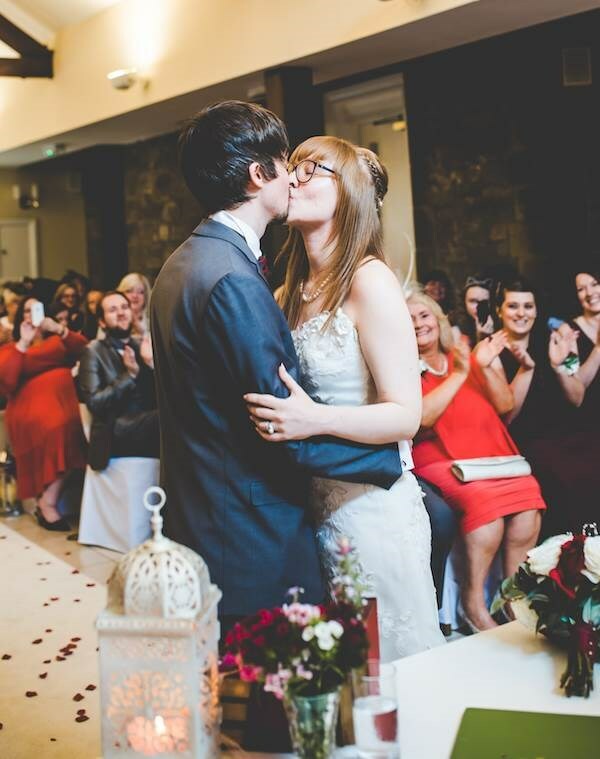 I also walked down the aisle to Zelda's Lullaby from the Legend of Zelda, and we left the ceremony together to Ballad of the Goddess from Legend of Zelda: Skyward Sword - which is actually Zelda's Lullaby in reverse! How did you choose your venue, did it live up to expectations? We originally made a shortlist of venues and took our time organising days out to visit each one in turn. 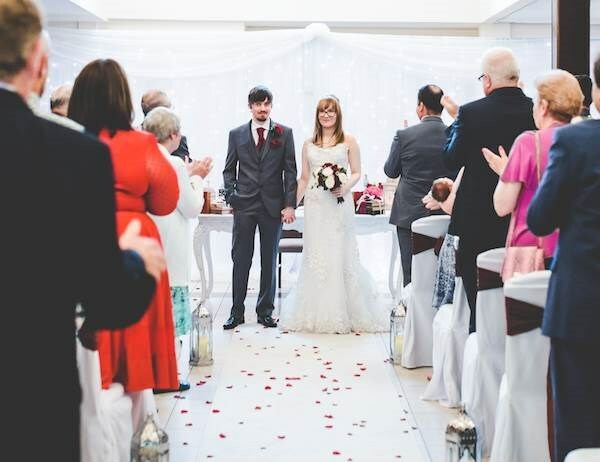 We saw Stirk House during a wedding open day, and being able to visualise the potential of how our day would pan out there confirmed that it was the right choice for us. It certainly lived up to our expectations and even surpassed them - everything went so smoothly thanks to the amazing staff who looked after us from start to finish. The venue is so beautifully traditional yet the decor is still modern, which was the perfect combination for us. The surroundings and views are spectacular too. What can you tell us about your amazing cake? What are all the themes/characters? 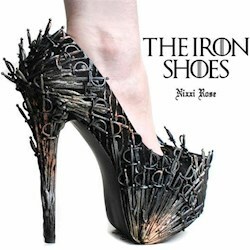 Did you design it? 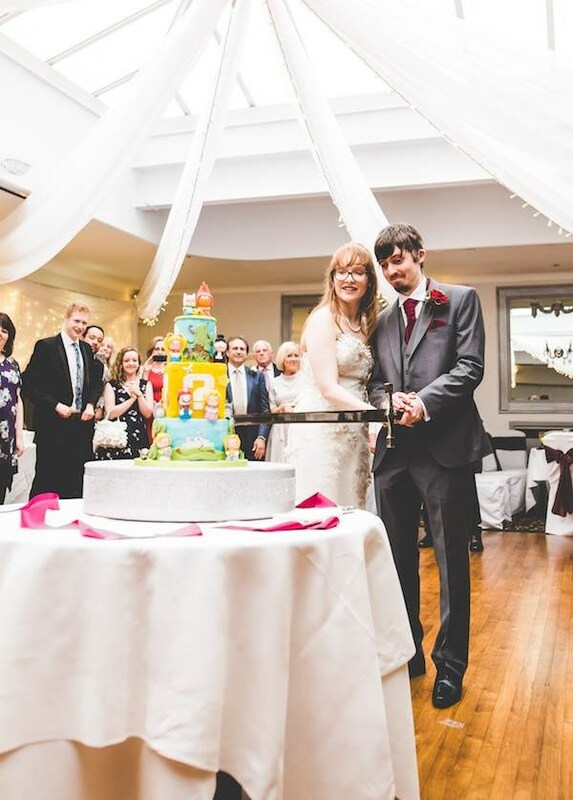 Stirk House asked us whether we would like to cut the cake with a knife or a sword... how could we say no to the sword? 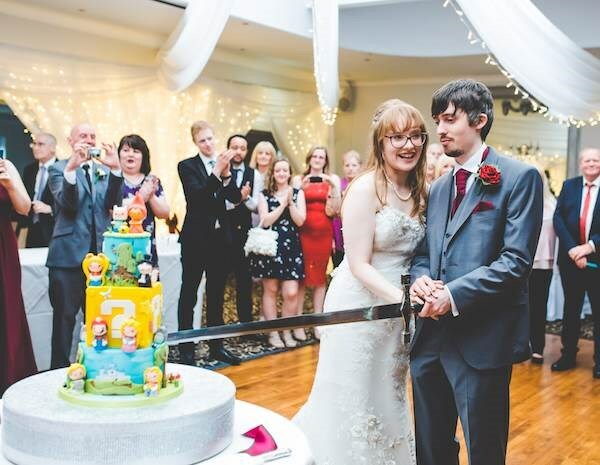 It was already difficult to cut the cake (emotionally that is), so the sword made it even more interesting. 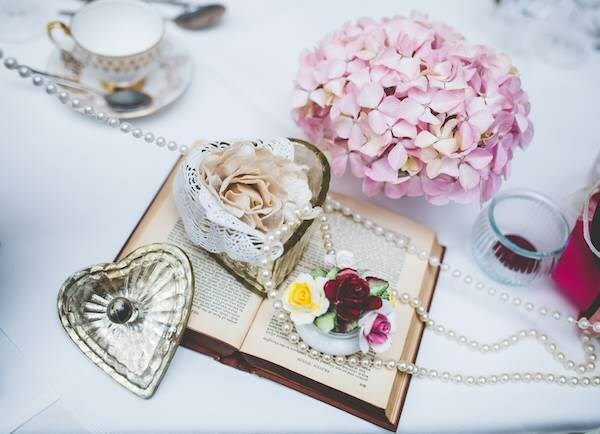 Would you say your wedding had a theme, if so, how did you decide on it? I would say that the theme was the idea of romance and love stories from the interests which inspire us, although this was quite loose as we didn't want the theme to be over-exaggerated in any way. There were definitely vintage and geeky elements that we needed to include though! Your decor is fantastic, did you DIY a lot or who takes the credit? We used Chris at Beautifully Vintage for the decor and table decorations, whereas Creative Cover Hire did our chair covers and backdrops. We booked Creative first for the chair covers and they recommended Chris to us as we really wanted to create a vintage look to the decor. 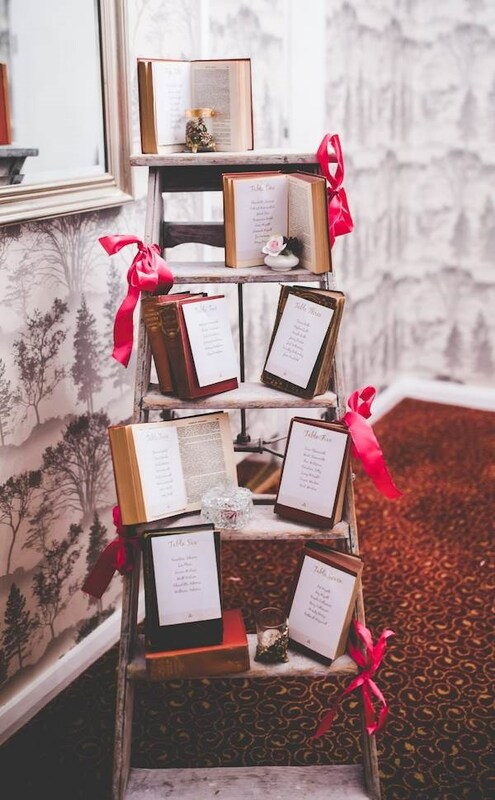 Chris was fantastic, sending me emails throughout the process updating me when she had found the perfect vintage book to go on the tables for instance. Your dress is beautiful, may we ask where it came from? Thanks! 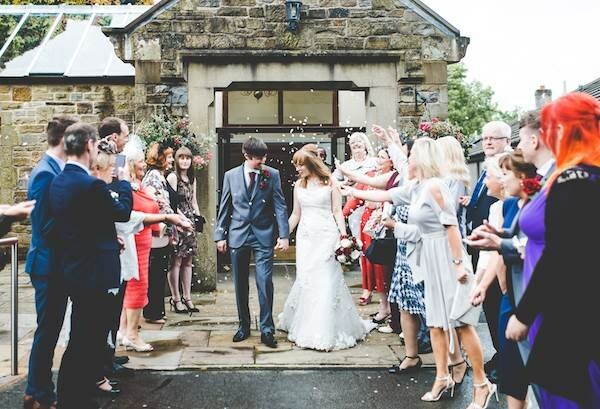 I got my dress from the lovely Sugared Almonds at Earby. 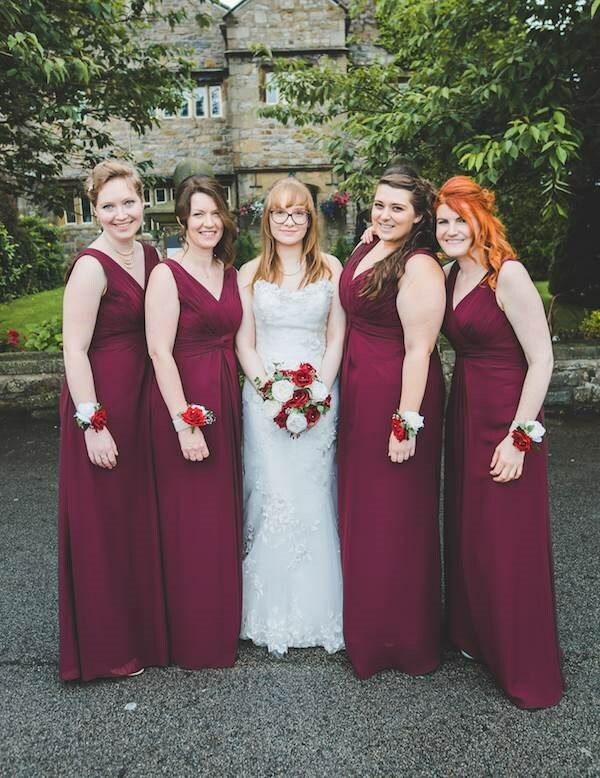 We also got our bridesmaids dresses from Sugared Almonds, and the girls at the shop were brilliant every step of the way - especially as two of my bridesmaids were family from Australia who had to have their fittings the week before the wedding! You have some great photos, would you like to say anything about your photographer? We're so pleased with the photos - Rachel Joyce and her second photographer Stuart did an amazing job, especially as we have never thought of ourselves as being a particularly photogenic couple :) They were both such an important part of our day, helping us with our preparations and ensuring that the photos looked natural, all whilst making us feel very relaxed. We really can't recommend Rachel enough. 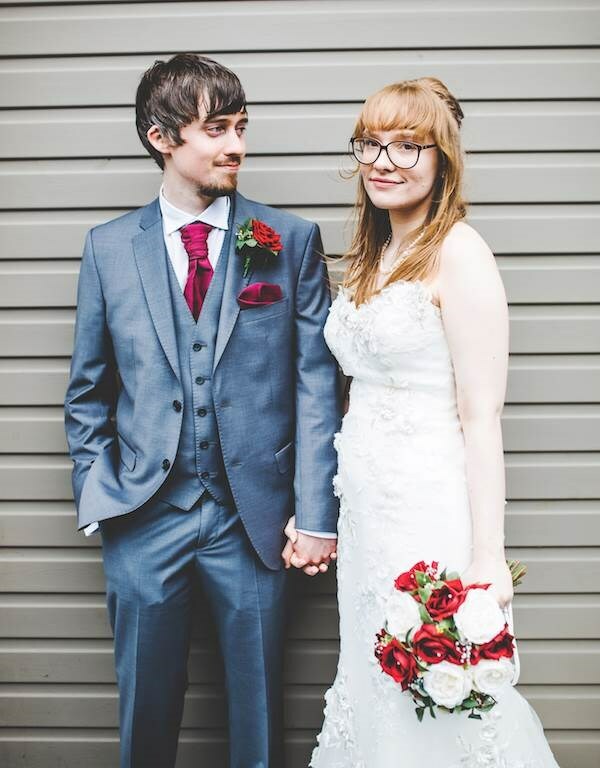 Creative also supplied a photobooth at our wedding which was great fun and we received a hilarious photo guest book with all the snaps from the booth! At times, the planning process was difficult and stressful, but it was definitely all worthwhile. 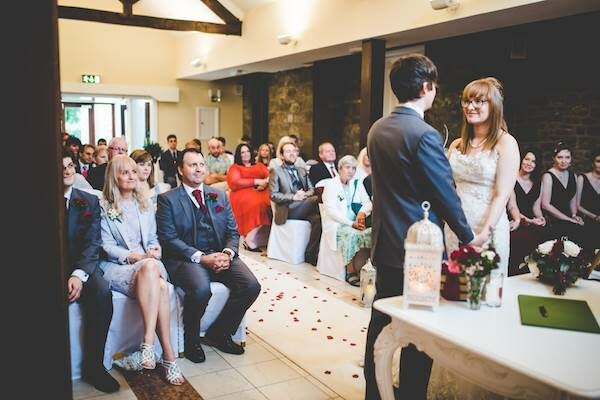 I would say that the source of the stress was worrying whether everyone would be happy and would enjoy the day - which isn't really the point of a wedding, but it's still very difficult to not think about other people whilst trying to plan. We're pretty organised people though and we had lots of help from family and friends along the way. 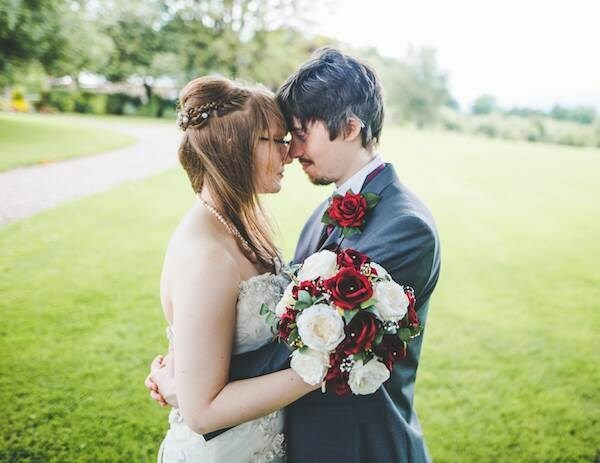 I don't think there is anything either of us would change, we were really pleased with how everything turned out. 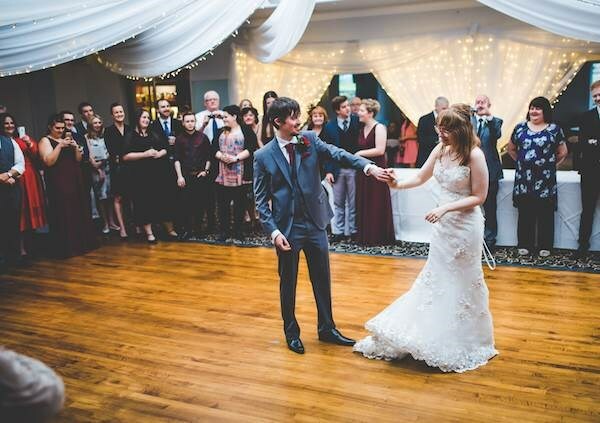 It's so difficult to pick a favourite part, but we loved walking out from the ceremony room to Zelda music and being greeted by all of our guests with confetti. Do you have any advice for couples who are currently planning their wedding? Try and enjoy the whole process, because it's surprisingly sad when it's all done! Also, be bold and make sure to incorporate the things that you love together in your special day. Thank you to Rachel Joyce Photography for the gorgeous photos, you can also find Rachel on Facebook!